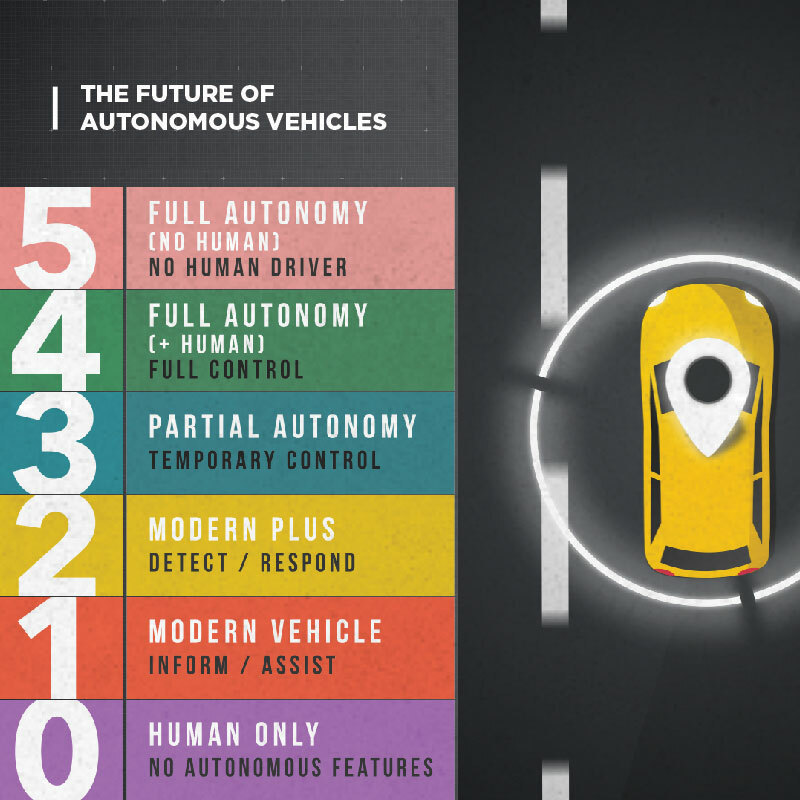 Autonomous Vehicles were bringing renewed excitement to the auto industry in a time of uncertainty. 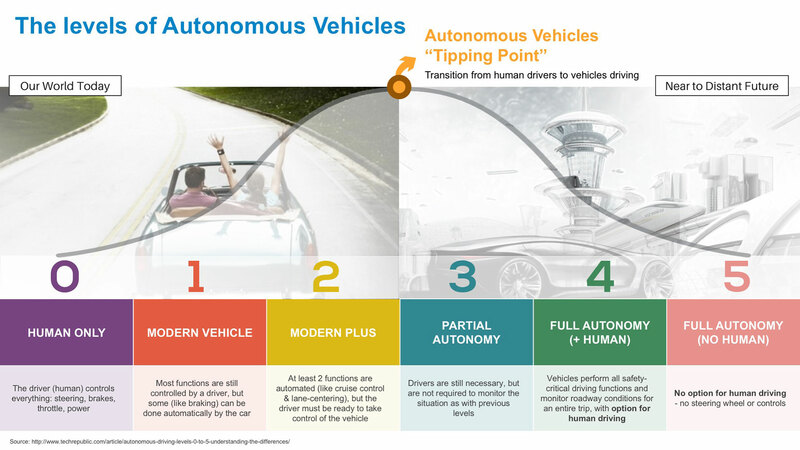 To showcase their expertise here and spark interest, Kelley Blue Book partnered with Vital Findings on a national consumer quant study to uncover autonomous vehicle perceptions and future occasions, assess adoption catalysts and barriers, and predict the “tipping point” — the point of true adoption. 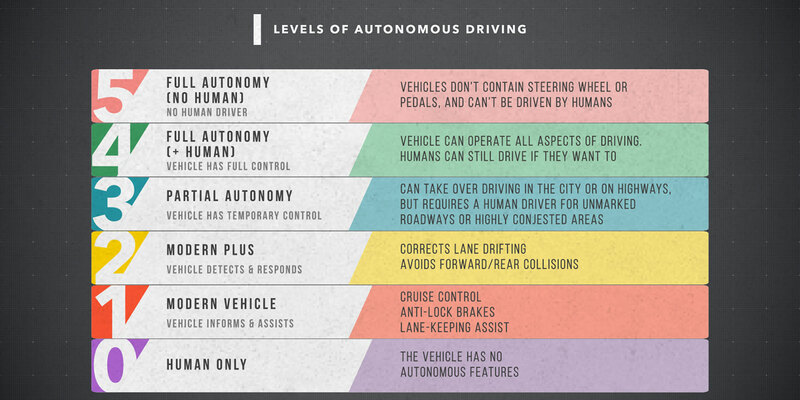 To infuse a fresh perspective in a saturated topic, Vital Findings unpacked autonomous “levels” by thin slicing degrees of self-driving features to deliver never-before-seen insights. To educate respondents quickly on the levels, Vital Findings developed an engaging, animated video that clearly explained and differentiated each in a consumer-friendly way. 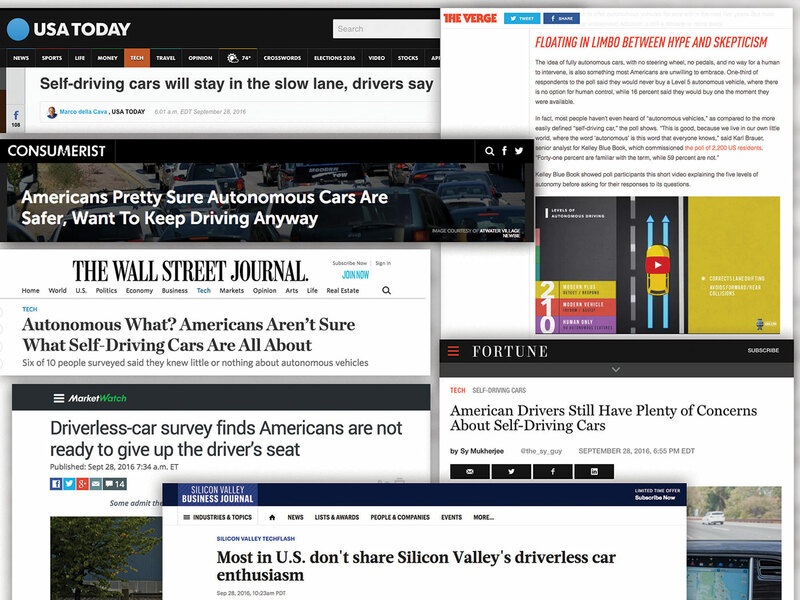 The research became one of KBB’s most successful PR launches ever, positioning KBB at the forefront of auto trends and garnering extensive press coverage across AdAge, the Los Angeles Times, the Washington Post, and more.